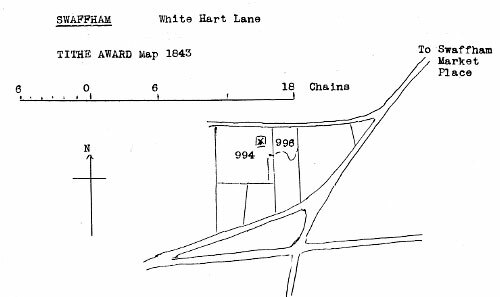 Swaffham White Hart Lane mill was an open trestle postmill. The mill worked with 3 pairs of French burr stones and a flour dressing machine. Together with a newly erected brick and slated Dwelling house, and 2½ acres of Land in a high state of cultivation, with Barn, Stable, Cart Shed etc. complete. Apply to Mr. W. Hardy, White Hart Lane, Swaffham.